As the title says, we are indeed professional carpet cleaners in Cirencester. 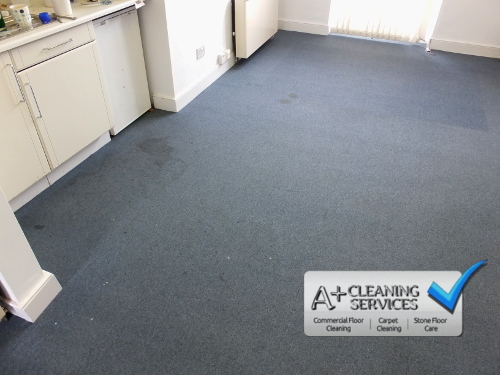 We can offer you our experience and expertise in both domestic carpet cleaning and commercial carpet cleaning Cirencester. Advanced stain treatment and stain protection are also amongst our offered services. We can carpet clean commercial properties such as offices, schools, pubs, resturaunts, hotels, retirement homes and local authority. We shall go into greater depth about our services later. 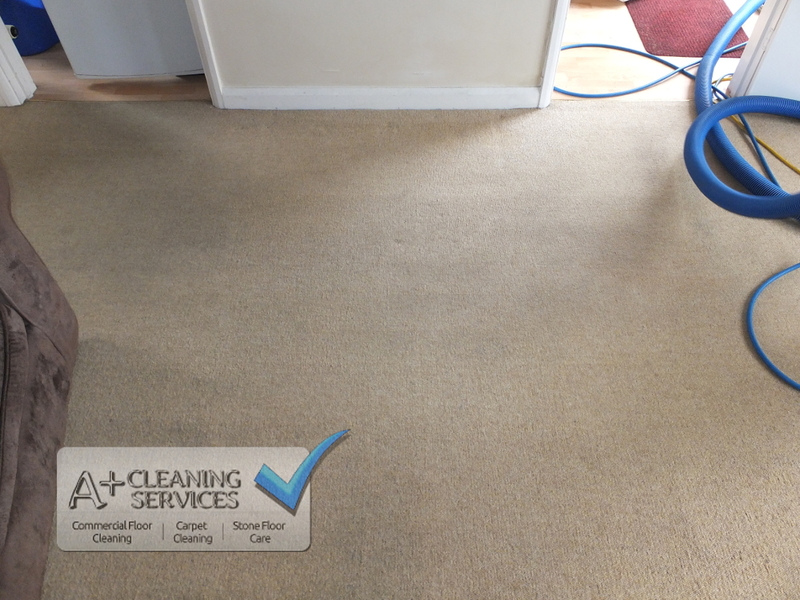 Carpet Cleaning Cirencester – The ‘sofa shuffle’ area is an area prone to soil and grease compacting, leading to more accelerated abrasion of carpet fibres. Maintenance cleaning can help prevent this occurring. 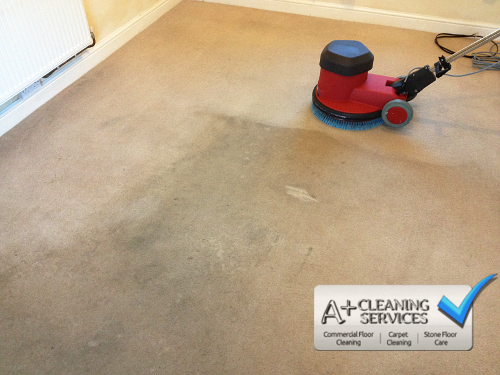 Tackling carpets as pictured to the left doesn’t really pose much of a challenge to any experienced carpet cleaner. But try finding a cleaning solution that can also deodorise, kill bacteria and viruses, destroy allergens and VOC’s. And if that practicality isn’t enough, this solution is safe to use and pH neutral, which prevents carpet damage. This unique colloidal cleaning solution is what gives us the ability to clean your carpet better than ever before. Being a colloid, this means that the colloidal molecules physically smash into offending dirt molecules. The colloids fragment and split upon impact into smaller molecules, and again smash into another dirt molecule. This chain reaction allows a true deep clean on the molecular level. 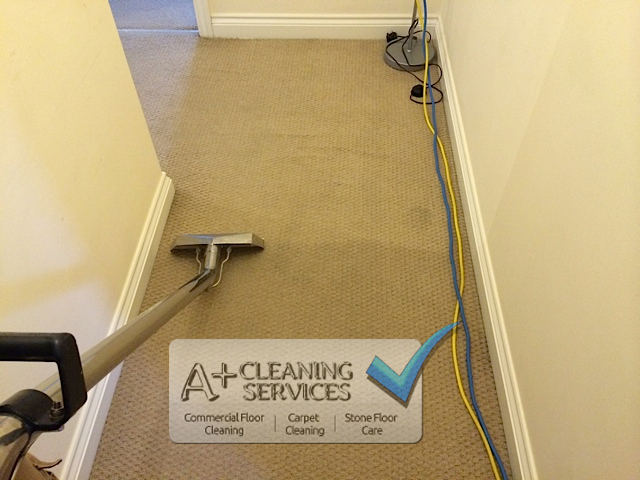 Carpet Cleaning Cirencester – When tackled correctly, these sofa shuffle areas can be rejuvenated substantially. Damage can occur when using detergents incorrectly, such as in the hands of an inexperienced carpet cleaner. This is purely because detergents grab soil and carpet fibre indiscriminantly, then needs to be rinsed out. When detergent is overused it can be extremely hard to remove all detergent from the carpet. When detergent is left in carpet, it can leave a sticky residue that attracts dirt. You just end up paying for a clean carpet, but your carpet will not be ‘clean’ for long. Colloids completely eliminate these problems, leaving the carpet cleaner for longer, brighter and fresher. 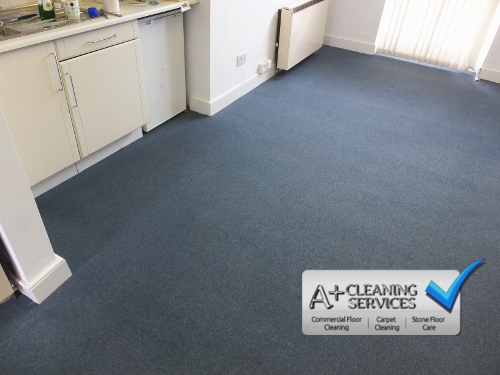 Carpet Cleaning Cirencester – These office tiles had numerous dark gummy and white paint spots, courtesy of the decorators. 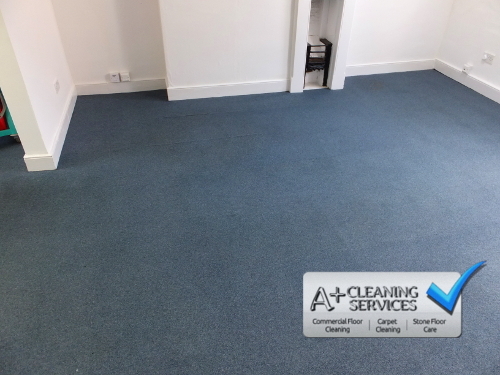 Carpet Cleaning Cirencester – Here, the finished product. All spots and stains removed relatively easy, leaving the carpet spotless. 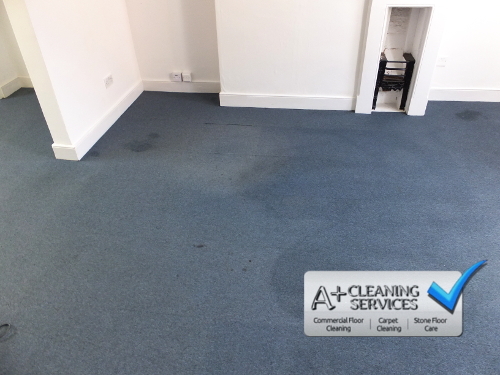 Carpet Cleaning Cirencester – Plenty of paint spots and grime to remove here. Will we be able to handle it? 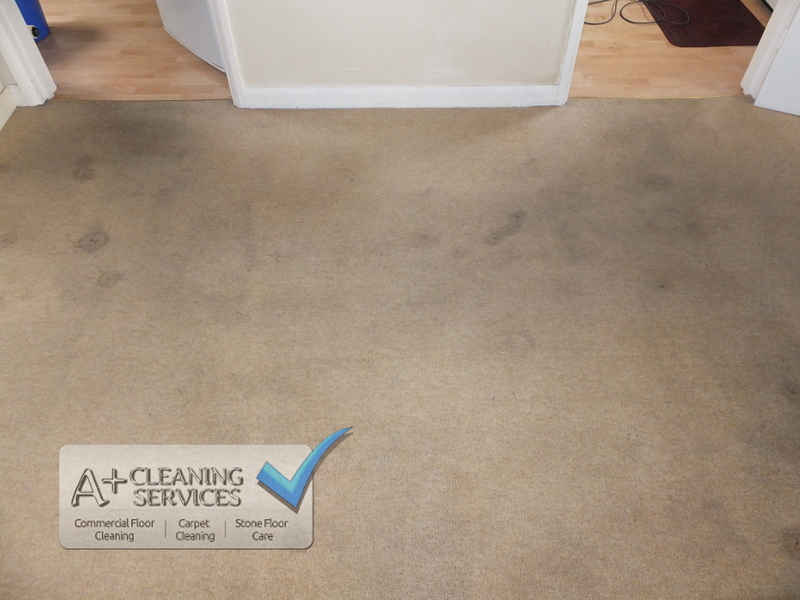 Carpet Cleaning Cirencester- All stains and spots came up, leaving the carpet good as new. A typical commercial carpet clean would require a low moisture system. Low moisture is an approved method, plus its water efficiency and speed make it a very viable choice in a commercial setting.. Both are of paramount importance as the carpet will be cleaned quickly and dry fast, giving the business owner, you, peace of mind and convenience. We can cover vast areas relatively quickly, letting your business be operational as normal. For commercial properties we give you a free survey in which we calculate the area to be cleaned, plus identify any potential problems. You will be given a quote based on all these factors. Take a look at our blog for more examples of professional carpet cleaning in Cirencester and other surrounding areas. Here you’ll see us tackle both common and uncommon problems that you might also suffer from. We also have some tips, and advice on tackling stains yourself as they happen. Hopefully this will prevent permanent damage and stains from occurring. Also, if you do have any stains feel free to contact us for advice. 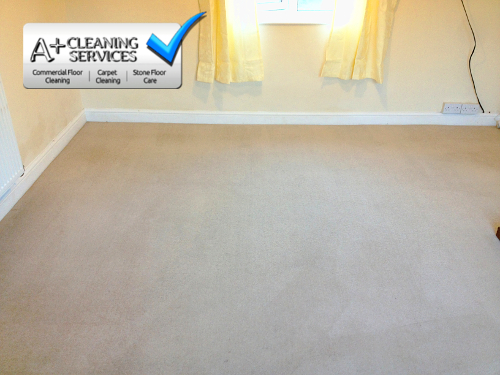 Carpet Cleaning Cirencester – The cleaning solution has been applied and reacts to the soiling. 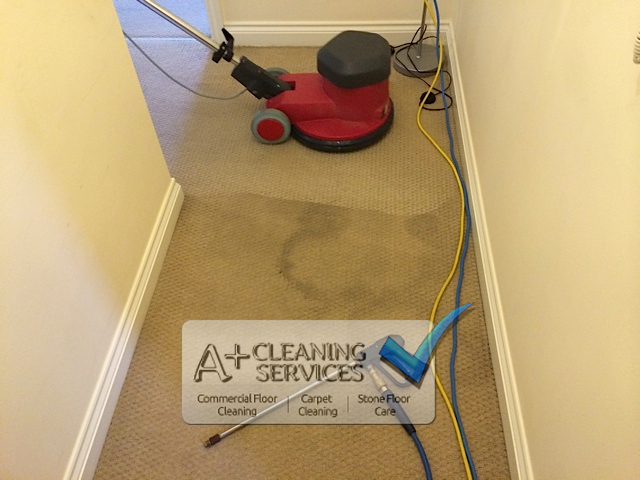 Carpet Cleaning Cirencester – Partway through the extraction process.